The importance, of protecting your head, face, and eyes from dangerous objects and unseen risks, cannot be overemphasized. If you have been exposing your naked eyes and unguarded face to the rigors of metal fabrication, your life and health are definitely at risk. Luckily, you can obtain numerous welding hoods at an affordable price for optimum protection. We are interested in keeping your good health as much as we want you to succeed in plasma cutting and welding. For this reason, look at this list of best welding hoods in the market. All these products come from reputable manufacturers. In fact, you could be spoilt for choice when you go to purchase a welding hood. WOHEL has a cumulative manufacturing experience of 8 years. The company is well versed with the needs of the modern metal fabrication processes. This product of creativity is one attestation to the fact that WOHEL is a leader in the industry. It boasts of a fashionable look, comfortable wearing experience, and a super lightweight design. Do you want the sensitivity and delay time to be slow or fast, simply adjust these features, and achieve your desired result. Similarly, choose the options when grinding and welding metals and surfaces. It is a highly powerful solar powered device with equally powerful lithium battery and solar power cells for generating power. You will use the welding hood in innumerable situations- gas shielded welding, electric welding, argon arc welding, and tin welding. The only process that you may not undertake is the high-risk laser welding. Just like many other products from the manufacturer, leading industry regulators, and professional associations have tested and approved this device. Therefore, use it in commercial welding in ordinary cases as well as in the construction of rail transport equipment, aviation, and shipbuilding. 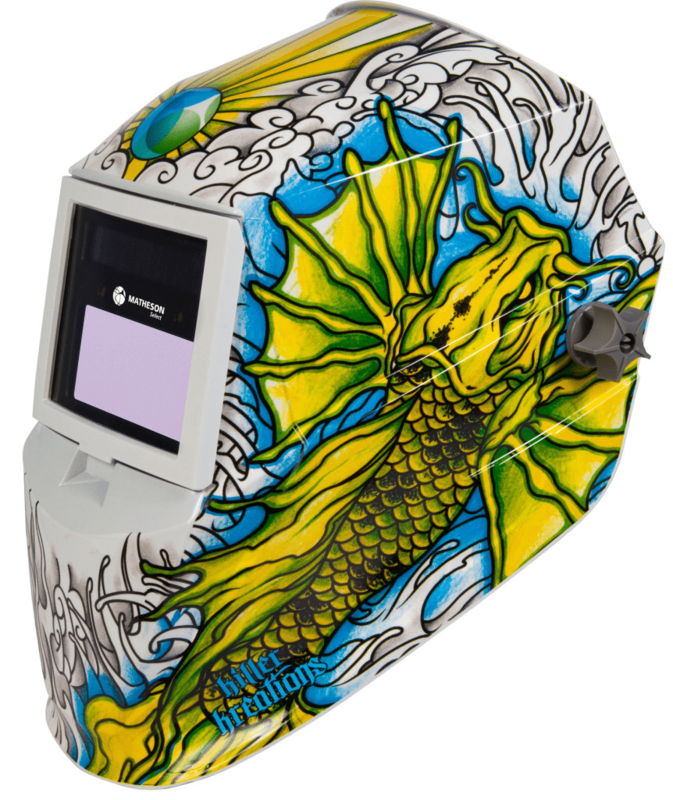 There are only a few welding hoods that are as intuitive as this one. 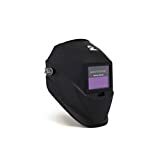 Made with a built-in solar panel and dual arc sensors, the hood is in the category of the best welding hoods as its auto darkening filter functions with split-second speed. You no longer have to waste time flipping the helmet up and down when exchanging torch placements. You can save on resources such as money, time, and effort because it increases the accuracy of the plasma cutter torch placement. The viewing area is a comfortable rectangle measuring 3 1/2 inches in length and 1 3/8 inches in height. You will benefit greatly from the protection against harmful Ultra Violet rays and Infra Red light. After all, international organizations have tested and approved the helmet. In addition, the manufacturer extends a 2-year warranty. There is no need why you should not make the most use of it now. Make the most use of the variable shade sensitivity that comes with this trendy hood. It is made of a heavy-duty high-impact nylon construction to perform with equal effectiveness in all welding and plasma cutting processes. If your business does highly demanding metalwork, then protect your eyes, head, and face with this device. After using it for a while, you will probably never use a different one. Its large viewing area measures 3.86 inches in length and 1.73 inches in height. This way, you will see all your pieces of work at the same time, hence enhancing safety. It has a replaceable battery, but most of its power is generated by a built-in solar panel. When the battery power runs low, the hood activates a low-battery indicator automatically. Take advantage of the super fast switch time that darkens the lens as needed.